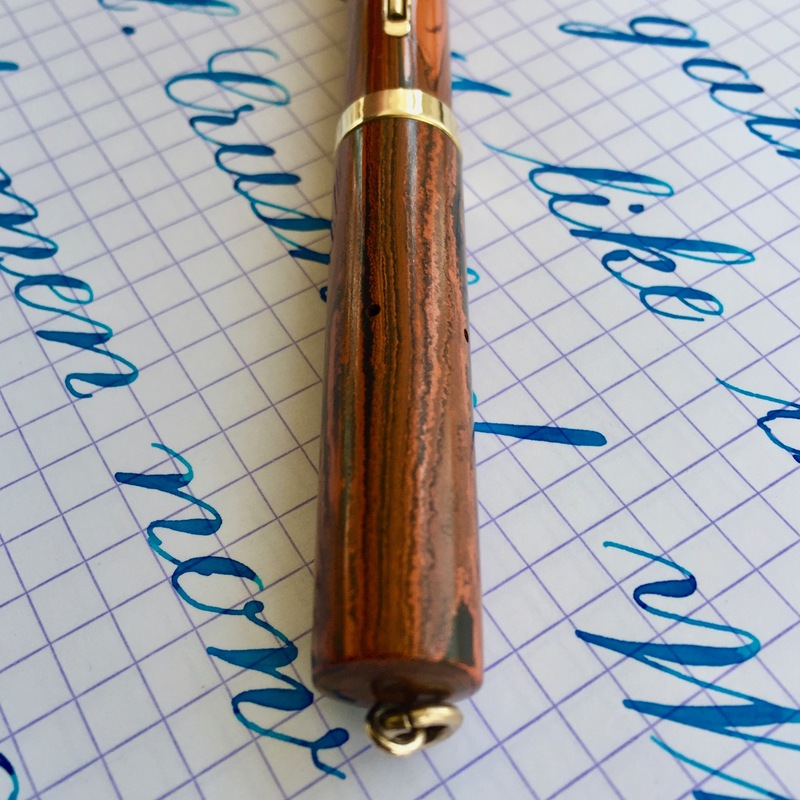 Here is one of my favorite size vintage Waterman pens, the 52V, in wood grain / red mottled hard rubber. 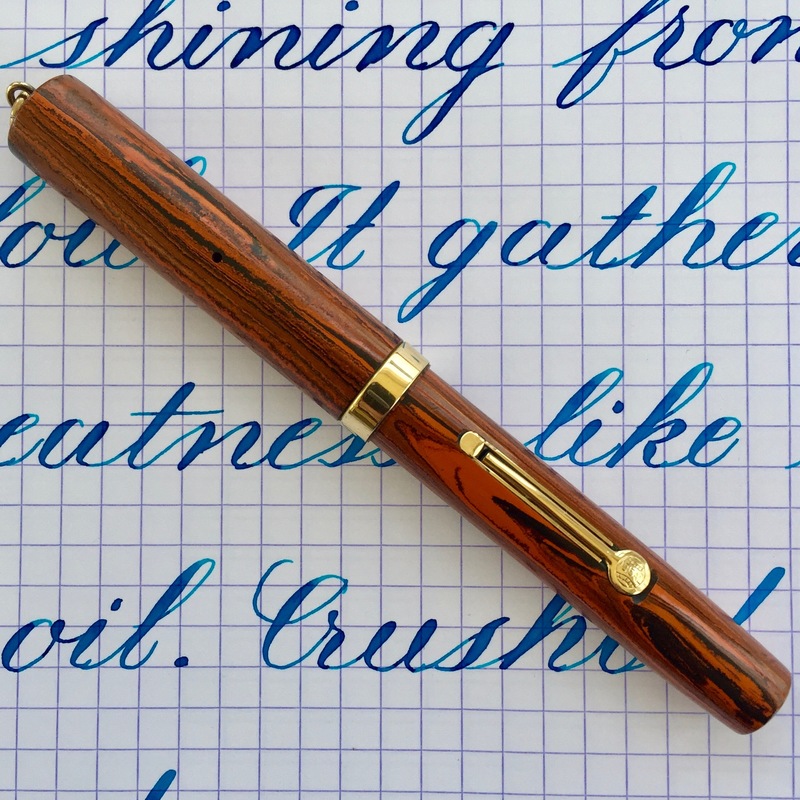 The 52V when posted has the feel of a 52 and when capped has the portability of a ring top. And this one is in tremendous shape. The hard rubber has barely any fading. The gold-filled trim is also in great shape. The lever has just the tiniest bit of brassing on the edges of the “globe” section, but you have to look very closely to see it. Side imprint is visible but partially worn and unreadable. The “52V” on the end is still crisp. The 14kt. 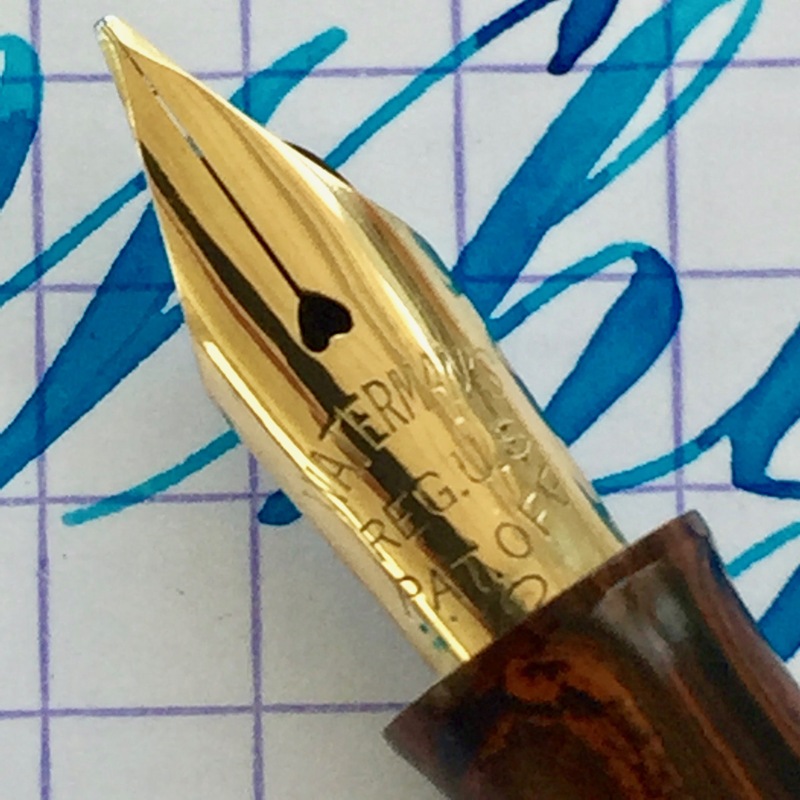 Waterman #2 is a very wet writing F. It’s smooth and a good writer, but if you don’t like wet writers you won’t prefer this nib. 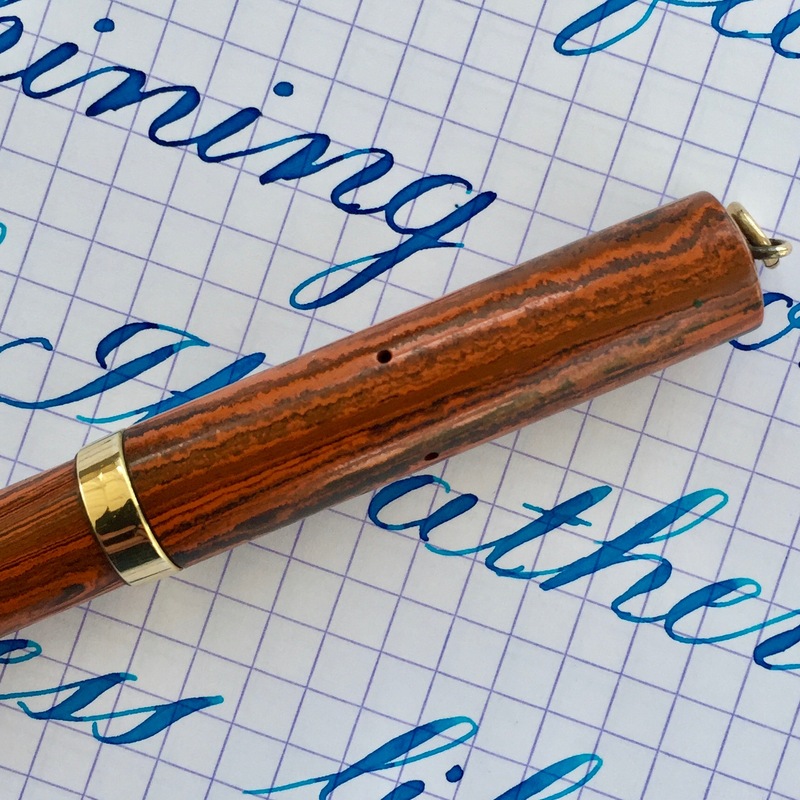 If you do, well then… The nib also has some soft flex. 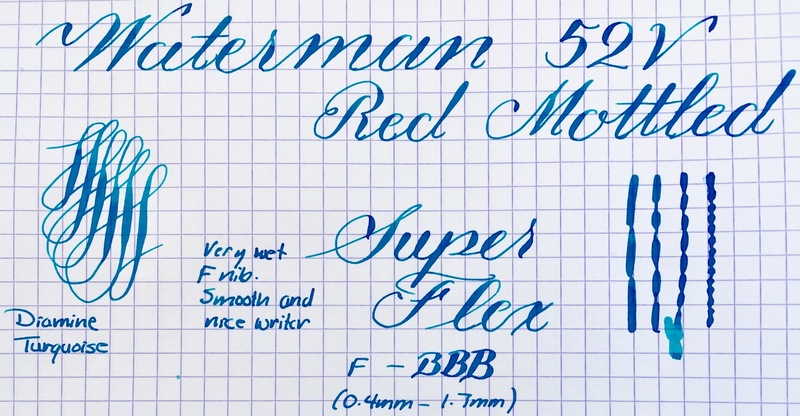 The flex is also very wet and ranges from F to BBB (0.4mm to 1.7mm). 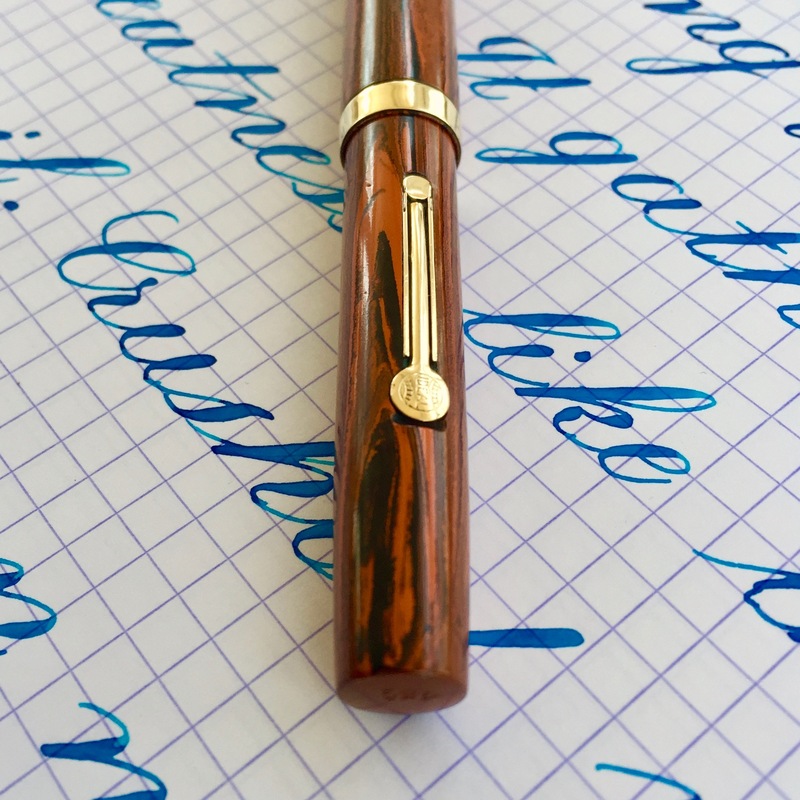 If you want to get some monster sheen, this pen will do it. The wetness cuts down on the responsiveness a little bit, but it still has a nice bounce. 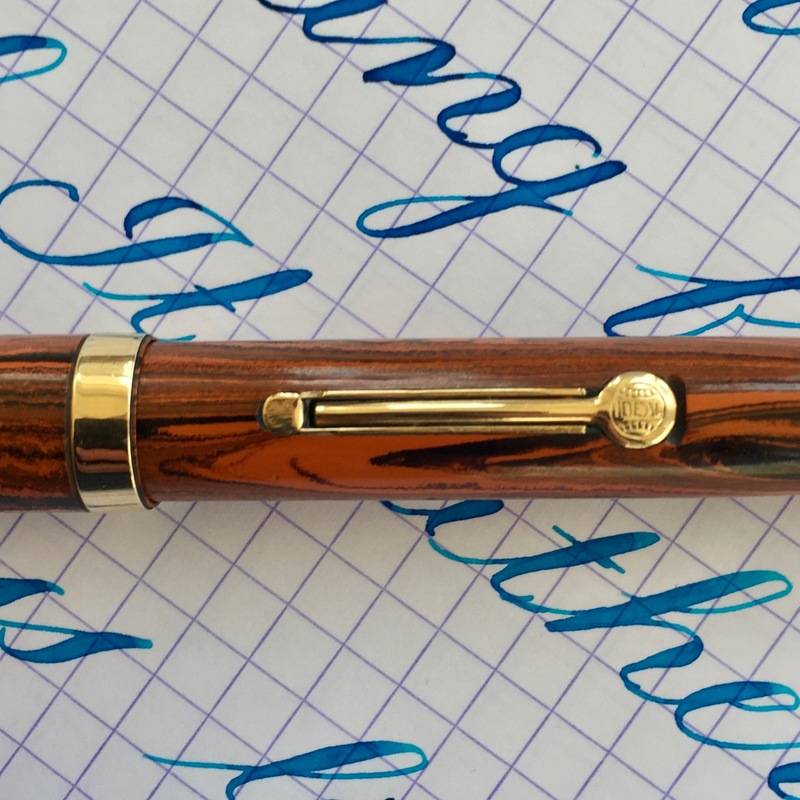 Overall, this is a great pen, in a great size, in great condition, and with a wonderful, wet, flexy, nib.